Rumours out of Winnipeg have Andrew Ladd receiving a contract in and around $6 million a year on a 6 year deal. So with that in mind, is there room for both of he and Byfuglien's deal? 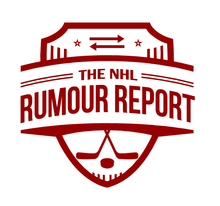 The Jets will have to re-sign RFAs Mark Scheifele and Jacob Trouba next summer, and already have big money committed to Tyler Myers and Tobias Enstrom. Furthermore, the Jets will eventually need to make room for blue chip defenseman Josh Morrissey. 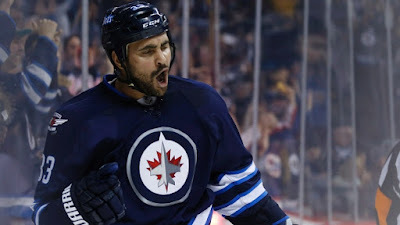 There are quiet rumblings that the Jets are at least preparing for the possibility of a Byfuglien trade down the road. The speculation will only grow the longer he goes without an extension in 2016. The Coyotes and Panthers are both looking at a handful of bargain wingers on the UFA market, and are likely to extend tryout offers whoever is still without work in September. Names being kicked around include Michael Ryder, Tomas Fleischmann, Scottie Upshall and Lee Stempniak. Skinner on the way out? It's well reported that Skinner was almost moved at the Draft back in June. It's believed the Hurricanes are still looking to move Skinner before training camp but so far haven't been blown away by any one offer. The Blackhawks still have a few items to get to before training camp rolls around. At the top of the list are trading Kris Versteeg and Bryan Bickell, the latter who should be a lot easier to move than the former. Even Andrew Shaw and Brent Seabrook are generating some buzz in the NHL rumour mill.